We have an extra naturalist guide to the crew – an Underwater Naturalist – who leads guests by the hand during swimming and snorkelling activities, helping them with masks, snorkels and techniques. 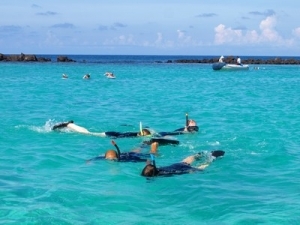 We’re confident far more of our guests will enjoy the ship’s snorkelling activities, revealing another world of wonder in the Galápagos that they might otherwise have missed. To record our guests’ fun in the water, our high-quality staff camera has an underwater housing – and photos of the expeditions are always shown on the last night before disembarking, and all photos are uploaded to websitesfor future viewing and sharing. 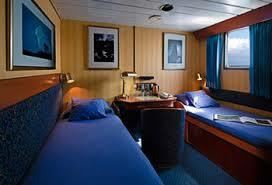 *our “Pirates Aboard” programme on board with attractive kits full of materials. 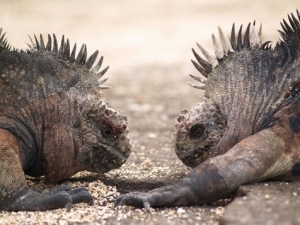 Our itinerary together begins on San Cristóbal Island, the capital of the Galápagos Province. From here, we venture east along the northern shores of the island, visiting the fascinating site of Punta Pitt, taking us back to Charles Darwin’s visit of 1835. We then sail west to the central islands of Santa Fe, with its beautiful tranquil bay (great for swimming and snorkelling), before continuing to the wild cliffs of South Plaza with their cactus, land iguanas and stunning marine birds. 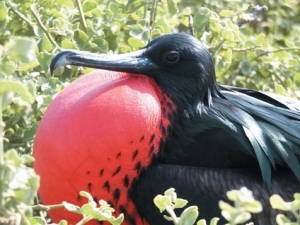 The following day we visit the world-famous Charles Darwin Research Station on Santa Cruz Island, the most populous in the archipelago, with a range of activities on offer in the afternoon. Española Island awaits on our last day, a favourite of many visitors, with its remarkable visitor site of Punta Suárez. 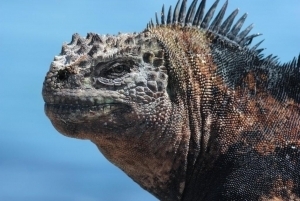 Here, we’ll wander along the rugged coastline, home to hundreds of marine iguanas, sealions, marine birds, and even albatross (at certain times of year). In the afternoon, Gardner Bay provides a wonderful setting for a combination of beach-time, swimming snorkelling or exploring aboard the glass-bottom boat. Our itinerary together begins straight from the airport of Baltra, where we’ll sail to the island of North Seymour, a great introductory site to the islands and their wildlife. Overnight, we sail round the seahorse-shaped Isabela Island to the two great visitor sites of Punta Vicente Roca and then to Fernandina Island’s wild and pure Punta Espinosa. We continue our exploration of Isabela at the beautiful pirate bay of Tagus Cove and then on to the uplifted Urbina Bay. From there, we sail back round to Santa Cruz to visit the world-famous Charles Darwin Research Station and then spend the afternoon enjoying a range of activities. The following day finds us on Floreana, exploring its human history and stunning wildlife at both Post Office Bay and Punta Cormorant. An amazing odyssey round this magical archipelago! All the crew aboard the Santa Cruz will do our utmost to ensure your Galápagos experience is truly, deeply moving and memorable. Our itinerary together begins from the bay near Baltra airport, from where we’ll sail to the glorious white beach of Las Bachas with a pair of brackish lagoons only a few steps from the sea. These lagoons are the feeding grounds of various wading birds, from stilts to flamingos. On Tuesday, we explore two fascinating visitor sites on Santiago Island: Buccaneer Cove, home to a large number of marine birds, sea lions, and inter-tidal organisms, and Puerto Egas, with its great walk along pools full of life and good snorkelling and swimming possibilities. The next day we visit the red-sand beach of Rábida Island, a lovely trail around some cliffs and a popular spot for swimming, followed by the volcanic viewpoint of Bartolomé in the afternoon, combining a hike, a swim, a beach and coastal exploration – a top Galápagos day! From here we sail northeast to the sunken crater of Genovesa, a wild place home to thousands of marine birds, a world a million miles from our own. We finish in Puerto Baquerizo Moreno, the capital of the Galápagos Province. 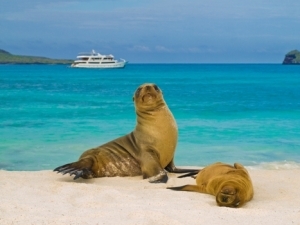 The itineraries and programme are subject to change without prior notice, due mainly to adjustments in the policies and regulations of the Galápagos National Park, weather conditions, seasonal changes and safety reasons.